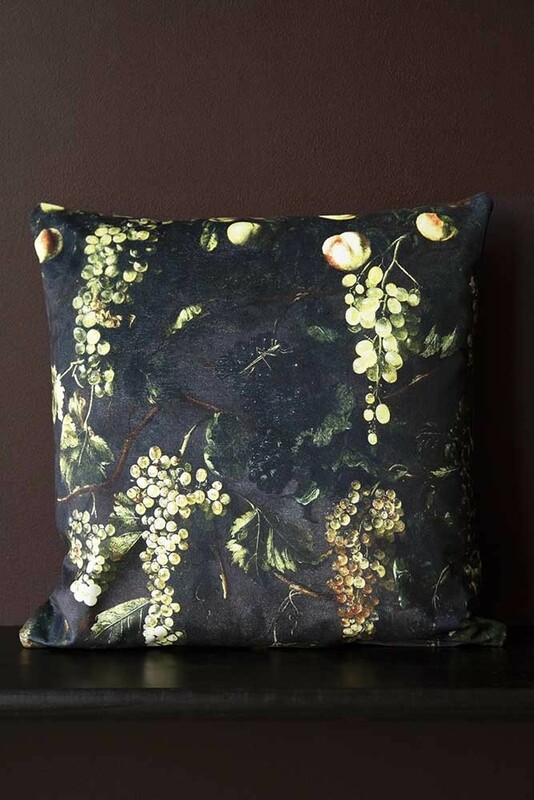 Fabulous and fruity, the Grape Vine Velvet Cushion introduces decadent pattern to the home with a sumptuous scene straight from the rolling vineyards of the Mediterranean. 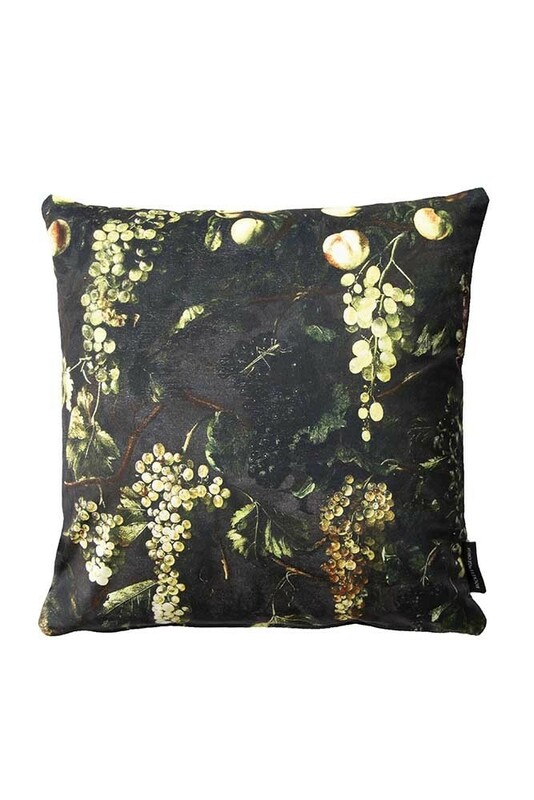 Manufactured in the UK, the Vine Grapes Velvet Cushion is part of our Rockett St George own-brand offering of luxury velvet cushions inspired by antique oil paintings, with everything from flowers to fruit and leaping leopards explored across the collection. Measuring 45cm x 45cm, the Vine Velvet Cushion provides a quirky take on timeless floral patterns. Fruit just might be the new floral and you heard it here first! Filtering through from the catwalk, playful patterns of fruit capture the same connection to the natural world as flowers, but with an eccentric edge that celebrates truly individual interiors. 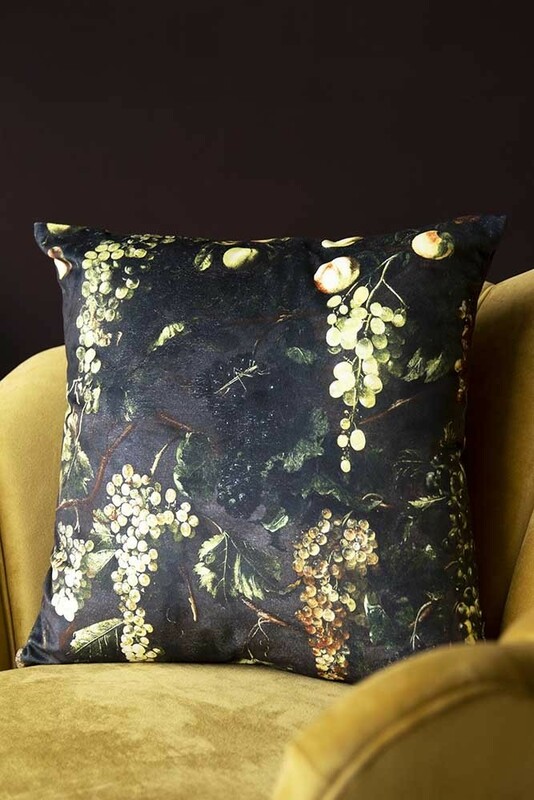 Featuring trailing vines of grapes and lush green leaves, the Grape Velvet Cushion is displayed on a deliciously dark background with unique, painted textures included for an extra dose of old school glamour. As one of the easiest ways to update your interior, cushions are a great way of introducing intrigue with pattern and can make a huge difference to the overall look and feel of your home. 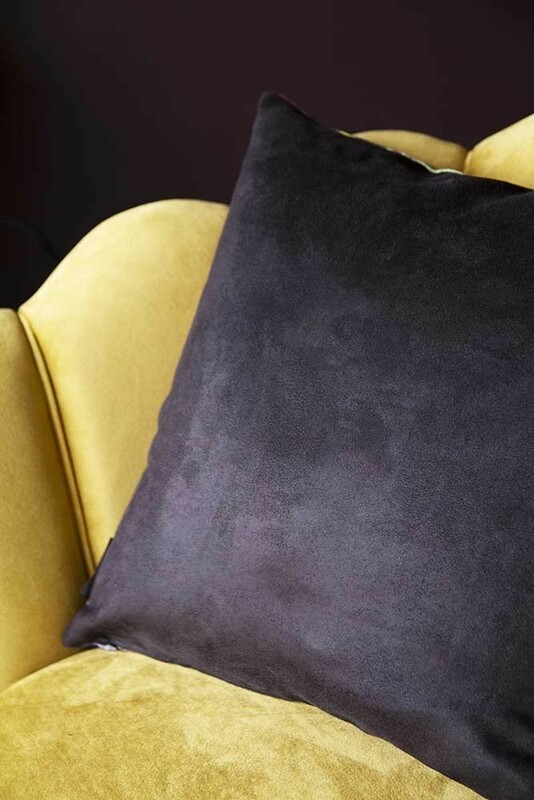 A playful and effortlessly unique take on popular purple grape cushions, the Vine Velvet Cushion is designed to make a dramatic design statement. Style yours with dark painted walls and on-trend ochre velvet to bring a pop of pattern to cosy armchairs in the corner or introduce the Vine Grapes Cushion amongst layers of pattern and texture to transform any space with ease.